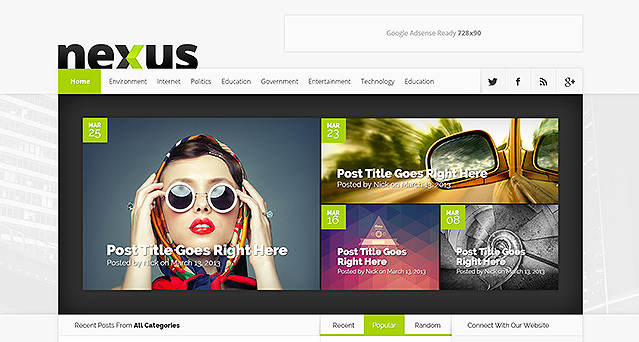 Nexus is a magazine theme packed full of custom widgets and content modules that give you control over your page. The theme is developed by Elegant Themes. For magazine theme, you have to show massive amount of contents and you have to present it in a clear and structured manner. Nexus achieves this through a strict grid, typographical hierarchy and a clean layout that gives each element just enough room to breath. The theme comes with different color templates, compatible with mobile devices, ePanel allows you to easily control your website. Previous: Previous post: Elegant Themes Summer Sale – 20% Off All Developer Purchases Through July 19th!